Desire to Decorate: P is for party! 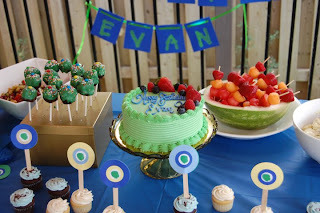 My little man Evan turned 1 this past Thursday and we celebrated with a party on Friday. 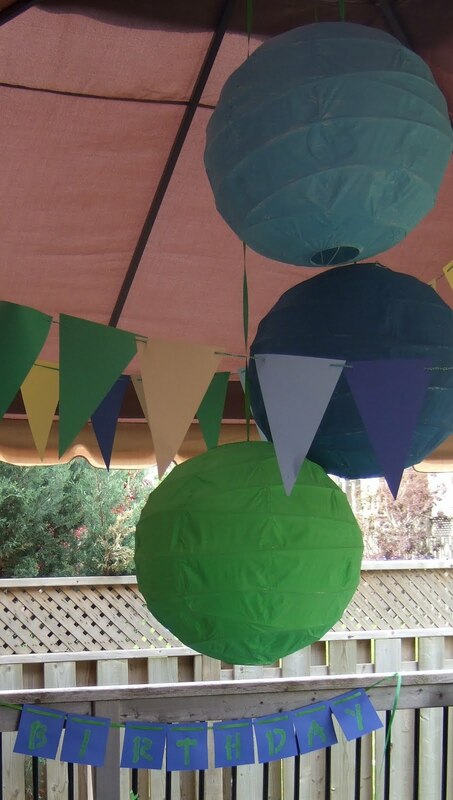 While I originally wanted primary colours as my party theme, I opted out in favour for green and blues and I'm so happy I did. We had lanterns, a flag garland, a happy birthday banner, my special silhouette lollipops not to mention, yummy eats and yummy treats like; vanilla cake, mini cupcakes and cake pops! Thank goodness the weather forecast was right because we hosted the party in backyard, which made everything feel more casual and easy going for moms and our little party friends. 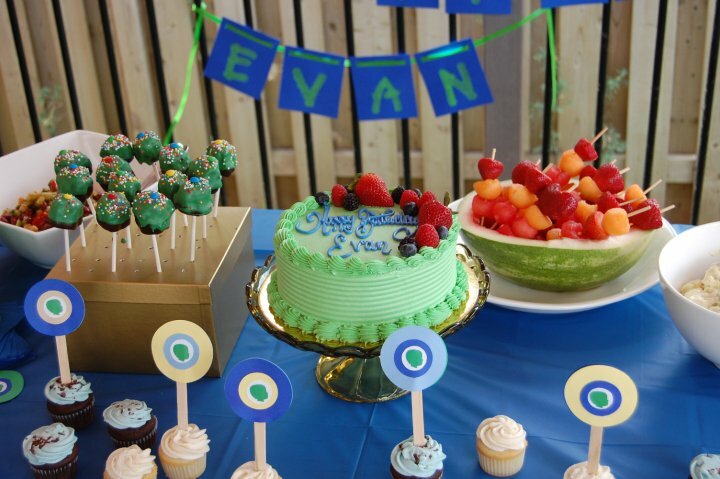 I've always loved baby silhouettes and I wanted to use Evan's somehow... silhouette lollipops seemed like a perfect special touch. :) I even found adult plates and napkins in my party colours, how perfect! B & I had fun panting the lanterns, making the flag garland, lollipops and HBE banner. 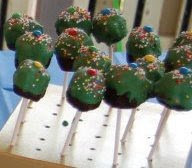 The cake pops were fun to make too! So glad I found that idea via Rambling Renovators. Go to bakerella for how to and more awesome ideas! The kids were perfect entertainment for my little man - he was watching everything with interest and eagerness. He's crawling but not walking yet, that said, I think it won't be long before he goes. Liam had a great time too!